So they try to do just what the audience wants them to do. I'd rather give people what they need rather than just what they want. 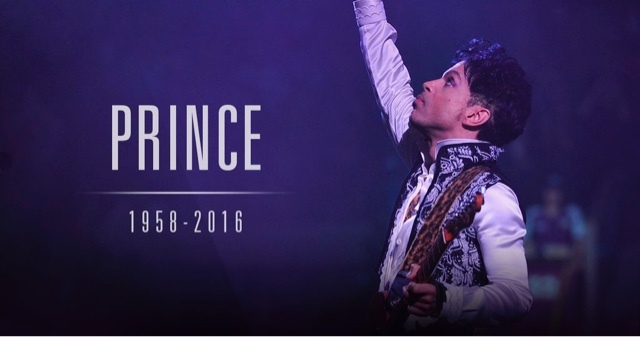 When you think of Prince you have no choice but to think of a lot of different things. If there is one person on this planet that meant a lot of different things to a lot of different people then his picture would be on the front page of whatever you're reading. He was a musician, often times cited as the true definition of what it means to be a Rock 'n' Roll artist. More times than not he was cited as saying real music was made with instruments and passion. More times than not I can recount a Prince interview saying that music has to come from a place of appreciation, heartbreak, creativity, drive, passion, and most of all, effort. If you weren't an artist that he felt was good, you would most certainly know. He also portrayed an image that of borderline femininity but always maintained his masculinity without any kind of fail or recourse from fans; something no other man or woman could pull off, ever. I remember once, when I was no older than ten years old, asking if Prince was a gay. The answer to that question couldn't be answered the way that they wanted to, but the short sweet version was: "if he wanted to, he could have any woman in this room and any room that he wasn't in". When I heard those words I just knew then that he wasn't the guy to mess around with in any sense. As the saying goes: "Prince could dress better than your woman and take her in the same breath". No matter who you were or where you went in the world, there was no denying his star power and staying power; something rarely ever achieved. 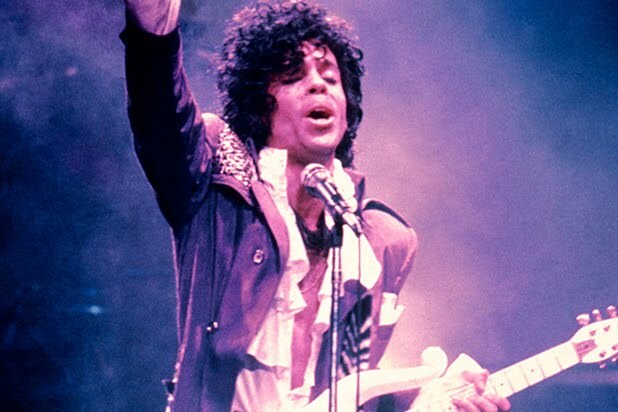 There are few people that transcend the avenues in which made them famous; Prince is no different. Even though, many times over, he would always circle back around to him being just an artist. He rarely, if ever, wanted to be that type of artist that was always in the news for all of the wrong reasons, (if any at that). But there were times where he stood up for what he believed and made it well known that he wasn't going to back down. Whether that was against unfair and unjust use of his image and forcing the government to uphold copyright laws. Letting everyone know that they weren't just going to use his image whenever they felt like using it. There was also that time he took on Wall street and their infinite amount of greed and corruption with the bailouts that government provided to them in the form of billions of dollars. He also stood up and supported the Black Lives Matter movement on various different occasions, even throwing a concert in support of Freddie Gray. Citing at the end of his Baltimore music video: "The system is broken. It’s going to take the young people to fix it this time. We need new ideas, new life…”. 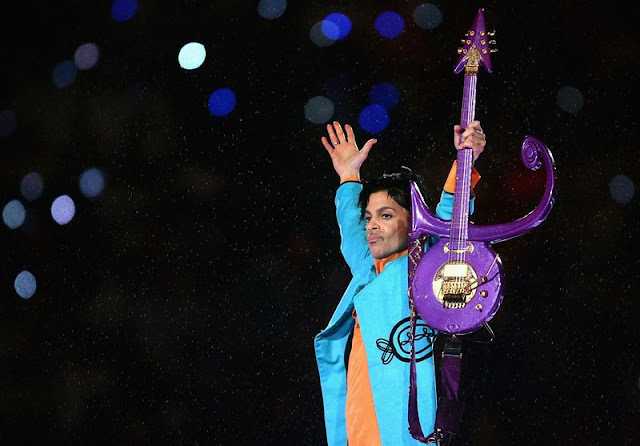 The fact remains that whether you love him, or hate him, (for whatever reason it is that you could muster up), Prince was a genius level talent forever immortalized in the annals of history. The self proclaimed master of a thousand instruments, the wide ranging voice, the producer and group creator, Prince was nothing short of remarkable his whole entire career. We have plenty of music from him, (in the tune of 60 different albums), to last us a lifetime or remembrance of his contributions. Whether he was performing live, coming out with a new album, or simply attending an awards ceremony while shading your favorite singer, Prince was a man of rare distinction. I mean hell, what person on this planet could change his name to a symbol and get away with it? 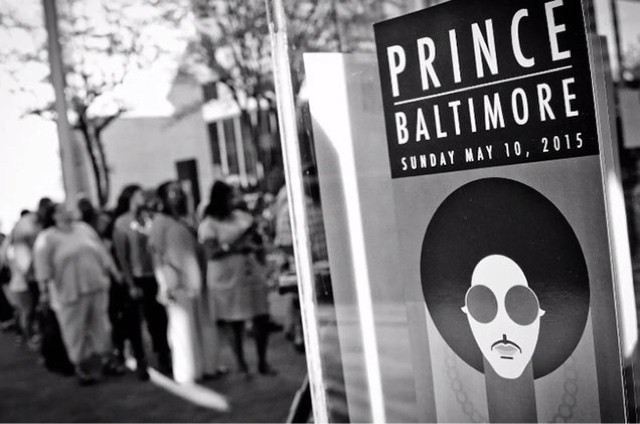 One of my favorite stories of Prince had to be when he lived down the street from my dad when he was living in Baltimore. As the story goes my Aunt went down to his house to simply go and see, (because it was rare to ever see an artist at their actual home in those days), but to her surprise he was there and not only did they see him, they actually got to meet him. It was said that the whole experience was that of genuine appreciation for his fans. He signed some autographs, chit chatted and then disappeared back into his luxurious home. It's things like that which make me appreciate an artist that much more, despite what you read and hear in the news. So as we lose another great to the energy of the universe, I'm just happy at the fact that he did what he wanted to do for so long without caring about how anyone felt about it. He managed to own his own music by the time of his death and he was able to go out and be appreciated by the world at large. To further cement his greatness, here is a video of him outshining two very iconic singers in their own rights. That's right, that's James Brown, Michael Jackson and Prince all on one stage. RIP to the pioneers of this little thing we call music.